Rum n Raisin – With each bite of Fudge a Raisin burst leaves the warm taste of the Caribbean inside your mouth. Made using sun dried mature Californian Raisins, the Raisins are soaked in a dark Jamaican Rum until plump and moist they are then blended into the fudge by hand. Ingredients list: sugar, MILK, glucose syrup, palm oil, butter, salt, flavourings, Raisins. 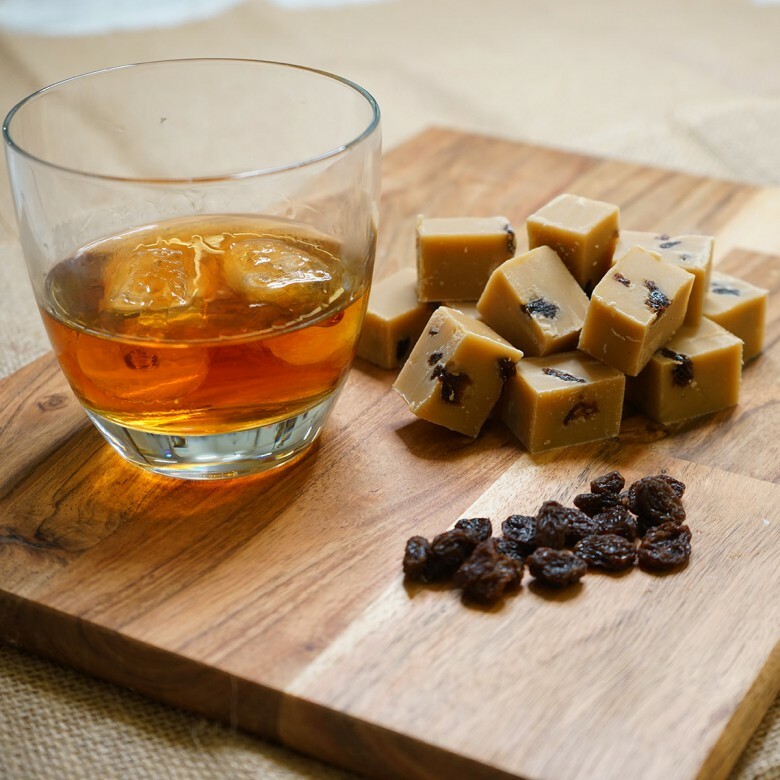 Rum n Raisins Fudge is available in two sizes; a 150 gram bag or a 450 gram box.